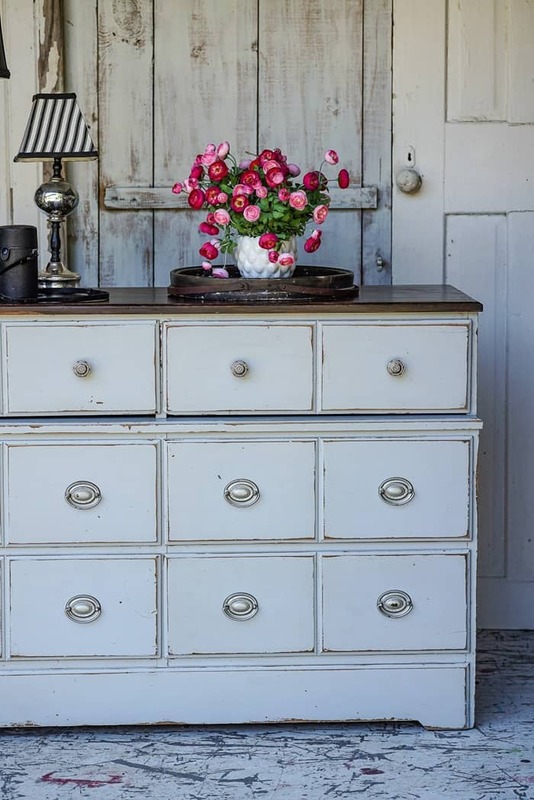 Do you guys buy painted furniture or do you paint the furniture yourself. 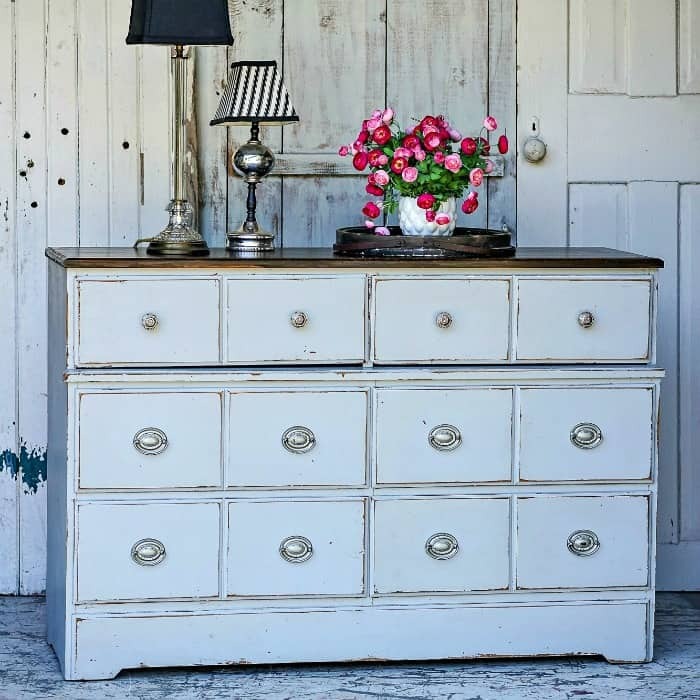 Or maybe you don’t even like painted furniture. That’s okay. Although if you’re a regular visitor here I’m pretty sure you have a thing for paint. 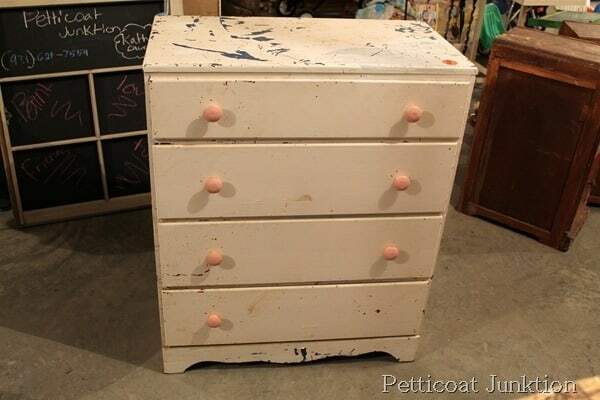 Sometimes you run across a piece of furniture at the thrift store or junk shop and it’s already painted. You might like it but it’s not quite your style. 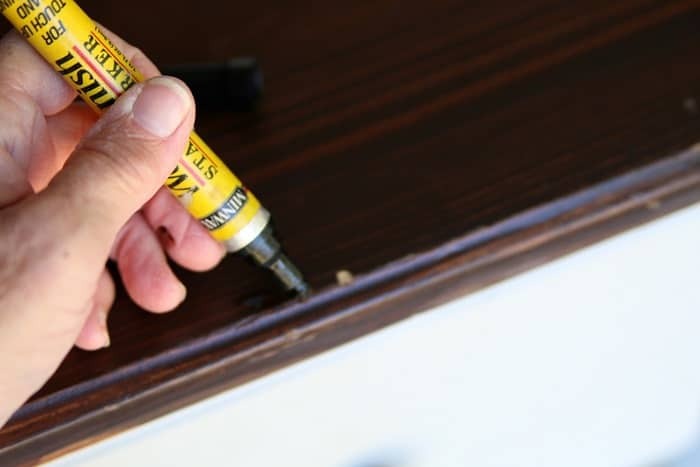 A simple change like new knobs, distressing, or maybe stenciling, will give the furniture a whole new look. I bought this dresser at my favorite junk shop for $30. 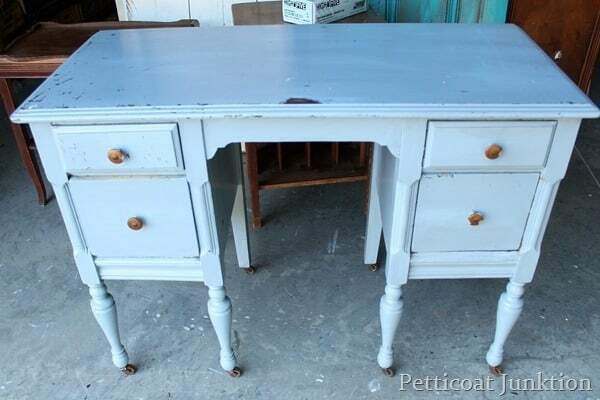 I knew immediately that I would work with the pretty silvery blue paint and not repaint the dresser. I even had a plan. 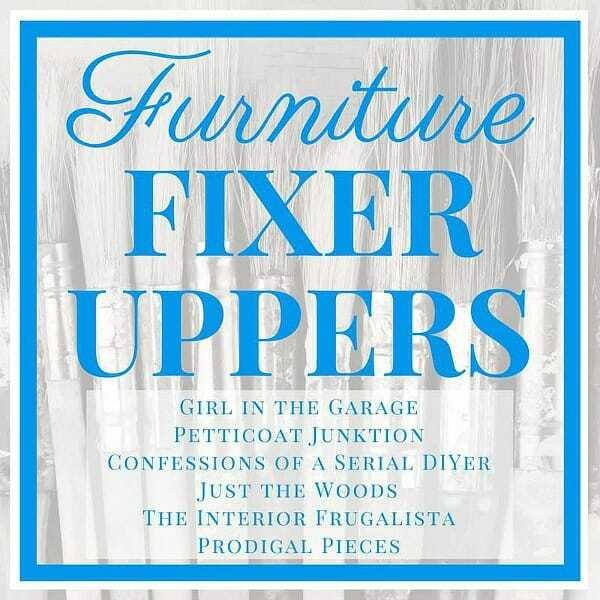 This project is featured for Furniture Fixer Upper day and my wonderfully talented painting buddies have projects today too. The links are at the bottom of this post. 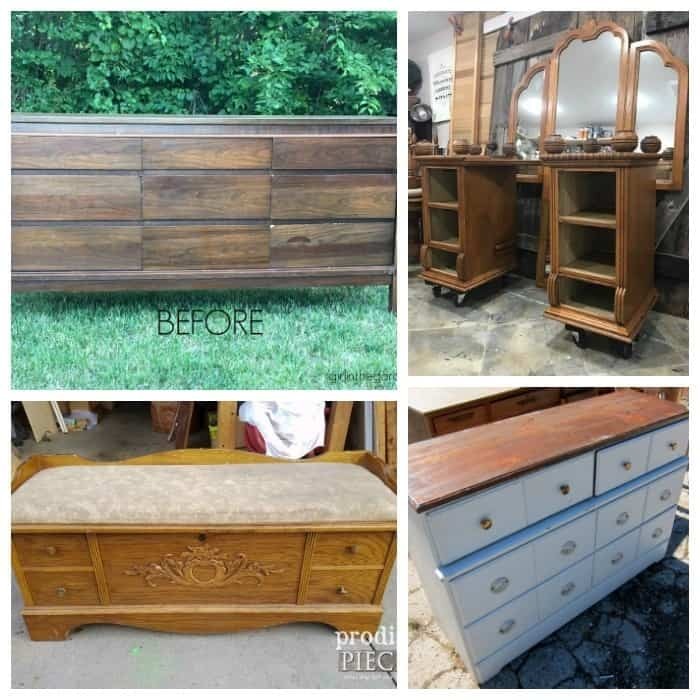 As with a lot of used furniture projects there were a few repairs that needed to be done to the dresser. The JTS (aka Junktion Technical Specialist, aka hubby) takes care of repairs for me. He’s a good guy. There were a few minor dings on the stained top and I used the Minwax touch up marker to take care of those. A 2 minute job tops. 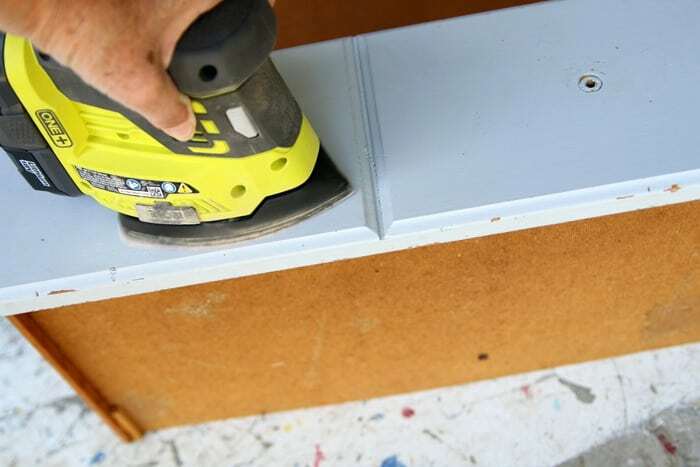 Since the paint was scratched and rubbed in a few places I sanded the piece all over with a power sander. Then I used Howard’s Wax in Golden Oak to make the raw wood look aged. You can see on the left side of the photo how the wax darkens the distressed areas. It’s a subtle change but one that makes a big difference. 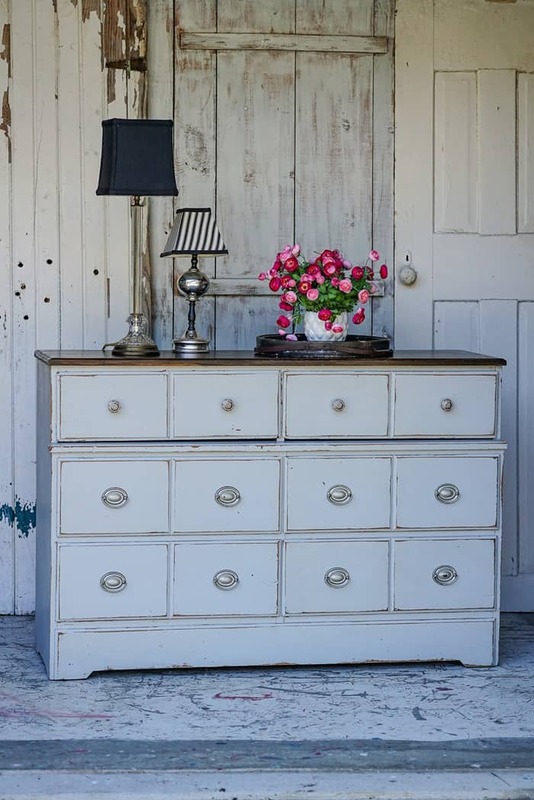 I made a short, short video when I was distressing a white chest of drawers. It explains everything. See it here….. 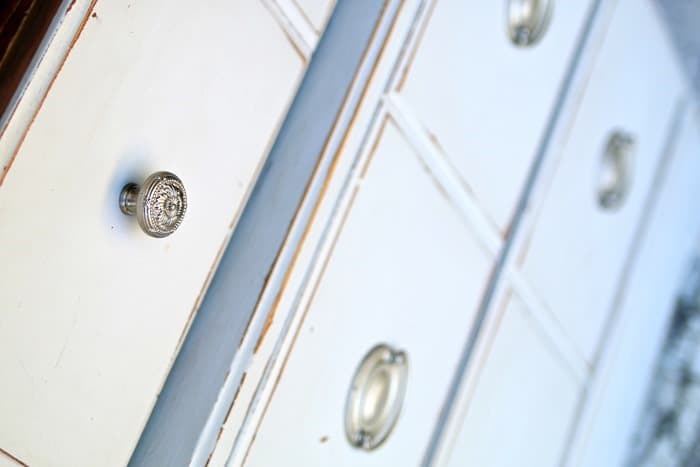 The dresser had 4 gold tone knobs on the top drawers that needed changing out. 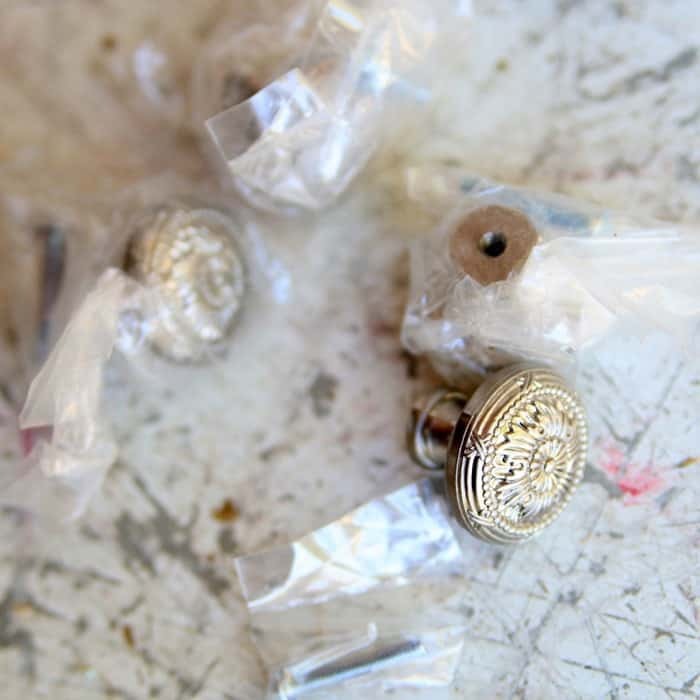 The silver tone furniture knobs I found in my stash were perfect. I have a ton of these knobs. I bought them at Habitat Restore a long time ago. They were 25 cent each. I replaced the knobs on our bathroom vanity with these also. They look much better than the standard knobs. The original paint is a very soft silvery blue. 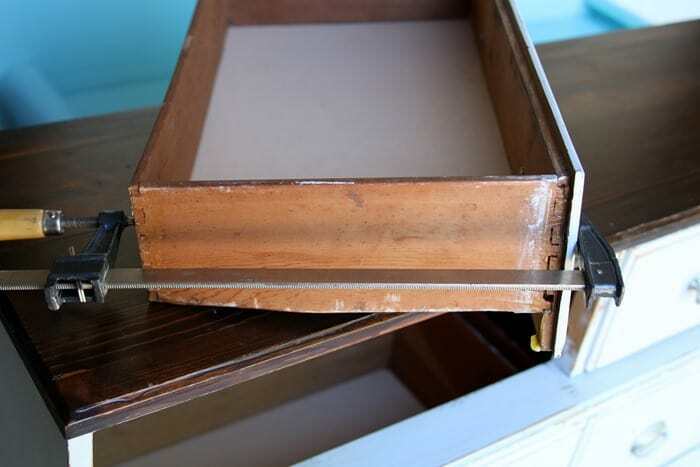 The color is lovely and the stained top is the perfect contrast. The distressing isn’t overly done. Just right. The original knobs on the bottom drawers were spray painted silver and are in great shape. No need to change those out. Sooooo, sometimes you don’t need to paint furniture, just work with what is there. This is the third or fourth project where I’ve made changes to the original paint and came up with a whole new look. A couple of the projects are below. Just click the pink text links to see the new looks. 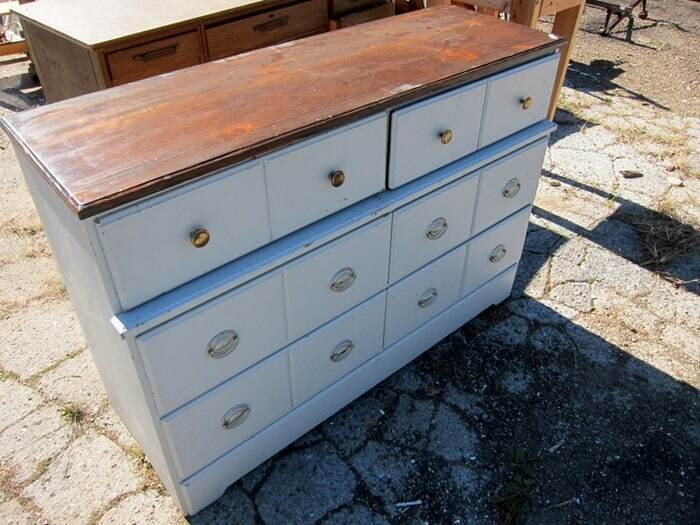 You would not believe this chest is the same one when you see the after photos here…..Red White Blue Chest of Drawers. See how this blue dresser came to life with the addition of red knobs. 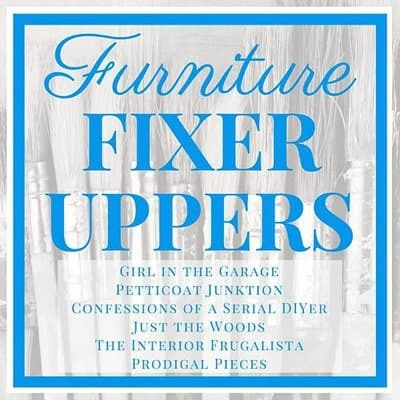 Time to see what my fellow furniture painters have for us today. Just click the pink text links below the “before” photo collage. You guys have a great weekend and I’ll see you next week! I love those knobs you had bought. I prefer silver over gold. You always have a wonderful vision of what something can be with just some work. Thar is why you are so talented! Those Minwax markers are the best! 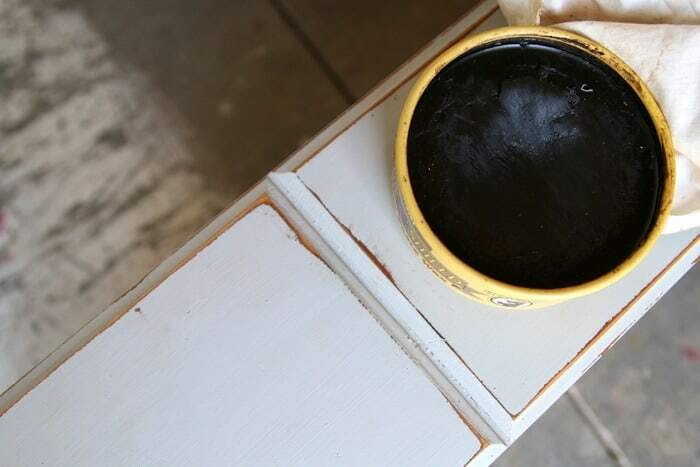 Huh, you have me rethinking previously painted furniture. My first impulse is to slap on fresh paint but after seeing this I think I’ll step back first and assess. 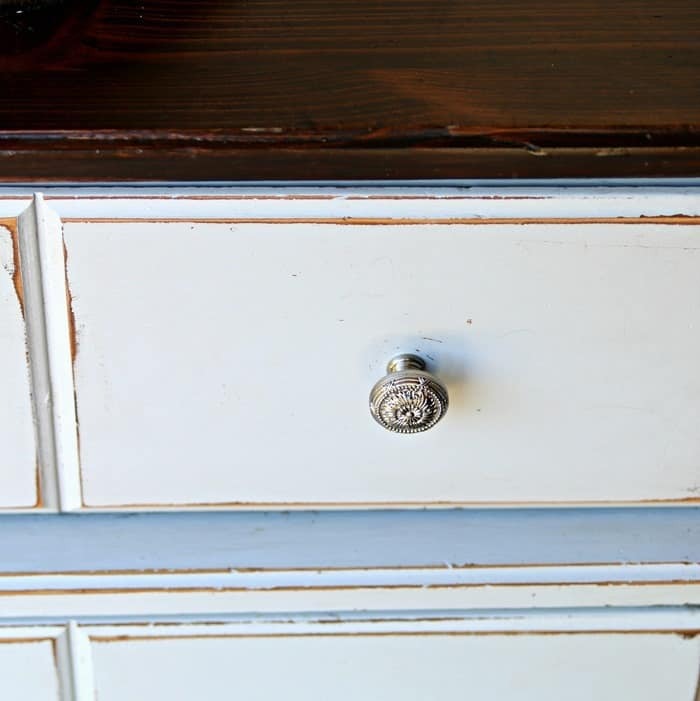 The new knobs paired with the painted originals dress this piece up beautifully. What a save, Kathy! 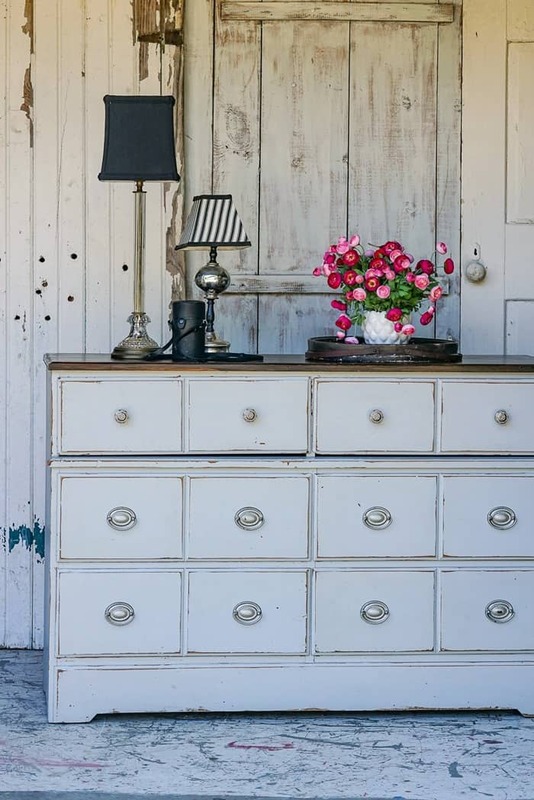 I love the new knobs and your touches make it perfect.